Although the nature around us is full of stable molecules in which the atoms are held together with covalent bonds, it is the weak forces such as van der Waal’s and electrostatic that govern their mutual interactions and hence lend them the properties that they exhibit. Hydrogen bonding interaction is omnipresent and has been an active area of investigation for several decades. Although much is known about the classical H-bonds, there is still a lot more to be discovered. Besides the familiar H-bonding players such molecules containing O, N, and halogen atoms, the carbon and sulfur centered H-bonds are equally important. Our research focuses on investigations of such novel H-bonds on the microscopic scale. The specific questions that we ask are their structural properties, relative strengths, nature of dominating forces (electrostatics vs dispersion), behavior in the neutral ground and excited states as well as the cationic state. Another aspect of the concern is determination of the exact binding energies of these complexes. Conventional HB is generally depicted as XH---Y where the hydrogen atom covalently bound to an electronegative atom X is shared between atoms X and another electronegative atom Y by electrostatic interaction. The stretching mode vibrational frequency of the HB donor XH red shifts substantially indicating weakening of the bond and the XH---Y structure is fairly linear. In the last couple of decades several new type of hydrogen bonds have been reported, viz., i) XH‑‑‑f type hydrogen bonds, where the HB acceptor is the pi electron density of aromatic compounds rather than some electronegative atom Y, ii) CH---Y type of hydrogen bonds where contrary to the conventional observation, the XH stretching frequency actually blue shifts, and iii) sulfur centered hydrogen bonds which have been condemned as very weak hydrogen bond players and were never paid any attention. i) The CH---Y type H bonds are of interest because the CH bond is not necessarily polar and the major interaction is certainly not the electrostatics. 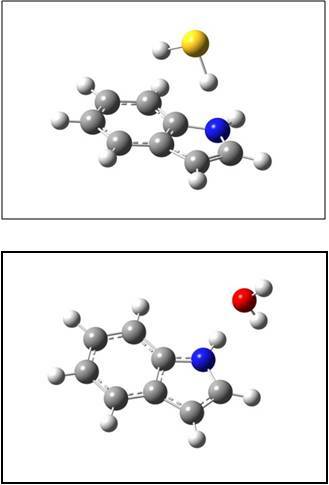 Secondly, besides the blue shifted CH H-bond donor it has also been observed that in a few cases the CH hydrogen bond donor also shows the conventional red shift. Therefore this system is quite intriguing. Besides, only handful examples of this type have been investigated experimentally to date. Our objective is to identify the factors that control the magnitude and the direction of the CH stretching frequency shift, understand the nature of the interaction. ii) The sulfur centered hydrogen bonds are all pervasive in the biological world and yet very little microscopic information is known about them. 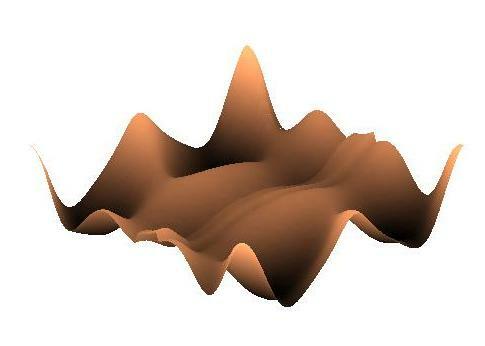 The only data that exists is in the form of structural data from the X-ray crystallographic data. Therefore, our interest is to investigate as many examples as possible that consist of sulfur either in isolation or in molecules where it will compete with the conventional hydrogen accepting atoms like oxygen and nitrogen. 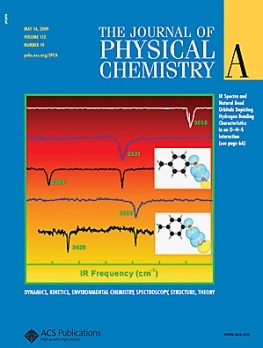 We have shown in recent past that the novelty about the sulfur centered HBs is that their strength is comparable to some of the strong HBs involving oxygen and nitrogen, and the dominant interaction was found to be dispersion rather than electrostatics. iii) Experimental determination of the binding energy of the hydrogen bonded or weakly bound complexes is very important from the point of view of generating and refining the force fields used in the MM and MD simulations. At present, barring a few examples, this information is obtained only theoretically and needs to be quantified empirically. Our laboratory has been engaged in the spectroscopy of jet cooled molecules and weakly bound complexes. To begin with the thrust was on studying the intramolecular phenomena (Intramolecular vibrational energy relaxation, vibrational pre-dissociation, etc.) in small molecules. In the past decade or so we have been focusing on the experimental investigations of weakly bound complexes. The hydrogen bonded complexes are synthesized using supersonic jet expansion method. The reagent, i.e., the chromophore containing the CH oscillator, S atoms/SH oscillator is premixed with the solvent or the hydrogen bond acceptor and co-expanded through a small nozzle into the vacuum. During the expansion the molecules are cooled to very low temperatures and also form the complexes. Because their internal temperature is very low these complexes are stable under collision-less conditions and can be probed using a variety of laser spectroscopic techniques. We have a well established supersonic jet spectroscopy laboratory wherein we can probe the complexes using a variety of laser spectroscopic techniques namely, laser induced fluorescence (LIF), resonantly enhanced multiphoton ionization (REMPI), fluorescence depletion IR spectroscopy (FDIR), UV-UV or IR-UV double resonance spectroscopy, etc. Besides probing the complexes in their neutral ground and the excited state we would also like to investigate the molecules in the cationic state. The techniques that one uses for this purpose are zero kinetic energy (ZEKE) photoelectron spectroscopy and/or mass analyzed threshold ionization (MATI) spectroscopy. In most cases the hydrogen bond donor is coupled with a chromophore so that it can be investigated using the fluorescence or ion detection techniques. However, in many cases the molecules in the real world may not have the chromophore. 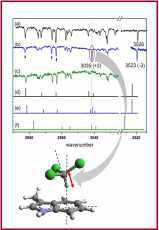 In order to study such molecules we have developed a VUV source coupled with the SJ expansion apparatus. it is proposed to carry out investigations using one photon VUV ionization of molecules in conjunction with the IR spectroscopy or ZEKE/MATI spectroscopy. Experimental data alone is not sufficient for arriving at all the answers. Therefore we also corroborate the experimental results with the computational methods like DFT (B3LYP), MP2, AIM, NBO, and various energy decomposition analyses in order to understand the nature of these interactions.